UPDATE REUNITED.....LOST...Lost Dogs Dublin 3 hrs · Luna still missing from Boyerstown navan co Meath. Since August 11th. She’s just over a year old. 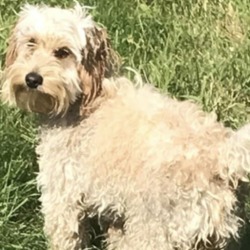 A cream cockapoo. She’s chipped and reg. My kids think Santa will be able to find her in his sleigh Christmas night and will bring her homeThey haven’t forgotten about her. We have tried all avenues. Please if anyone has any info can they contact me by pm. No mesages have been posted yet.